and functions in the presence or absence of O2. in the cytoplasmic matrix of procaryotes and eucaryotes. The pathway as a whole may be divided into two parts. will soon be used to make ATP. energy is captured as a glucose molecule is converted to two molecules of pyruvate. 3). Inclusion Bodies: There are granules of organic or inorganic materials. These bodies are generally for storage( Eg carbon compound, inorganic substance & energy) & also helps to osmotic pressure. 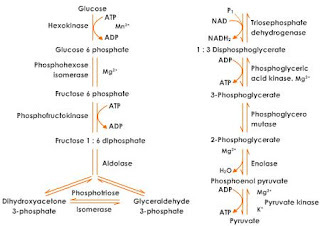 Some of the inclusion bodies are poly-beta- hydroxy butyrate granules( carbon storage), some glucose(carbon storage), sulphur granules( sulphur storage), gas vacuoles( helps bacteria to regulate buoyancy & float), phosphate granules or volutin granules or meta chromatin granules( storage of phosphates). 2.) Cytoplasm: It refers to internal matrix of cell inside the cytoplasmic membrane. Prokaryotic cytoplasm lacks membrane bound structures . The cytoplasmic matrix is largely watered which dissolves proteins, amino acids, sugars, nucleotides, salts, vitamins, & ions. It also contains certain bacterial structures like inclusion bodies, nucleoid, plasmids. A) Ribosomes: They are r-RNA protein bodies which give granular appearance. Proteins are synthesized in ribosomes & prokaryotic. Proteins are synthesized in ribosomes & prokaryotic ribosomes aren't bound to endoplasmic reticulum. Ribosomes of prokaryotes are called 70S(Sedimentation Coefficient) & are composed of 2 units(50S & 30S). Antibiotics such as Streptomycin &Tetracycline prevents bacterial ribosomes from carrying out protein synthesis. 1) Cytoplasmic membrane: It is a thick structure( 8 nm) that separates the cytoplasm from outer membrane. It is composed of phospholipid & protein. Phospholipid forms the bi layer in which protein( integral & peripheral) are held. 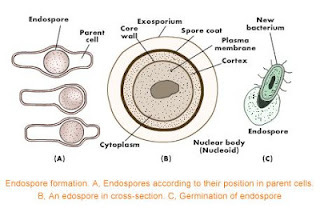 It acts as permeability barrier & prevents the leakage of cytoplasmic constituents into or out of the cell. 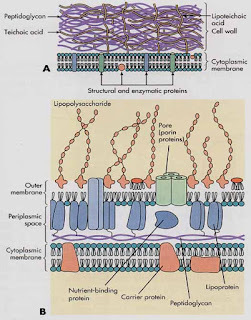 Specific proteins in membrane facilitates passage of small molecules across the membrane.It contains several enzymes involved in respiratory metabolism & in synthesis of cell wall & capsular components. Note: Polymyxins makes holes on cytoplasmic membrane while detergents & alcohol dissolves the bi-layers. 4) Cell Wall: 1) Gram Positive Cell Wall : Gram Positive cell wall has greater amount of peptidoglycan (ie around 25 nanometer) & may account for 50% or more of total dry weight of cell. Besides, peptidoglycan gram positive cell wall contains Teichoic acid. 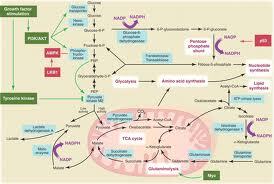 It helps to link the peptidoglycan layer & provides negative charge to the cell wall. Though, much gram positive cell wall contains very little lipid but Mycobacteria & Cornyebacterium spp & other are rich in lipids called Mycolic acid. 4) Cell wall: It is a rigid structure that lies beneath external structures( Pili, capsule, flagella) & external to cytoplasmic membrane. It gives shape & rigidity to cell. Cell wall consists network of peptidoglycan layer( murein or mucopeptide). Structure Of Peptidoglycan layer: A peptidoglycan is only found in prokaryotic cell surrounding cytoplasm & differs from species to species. 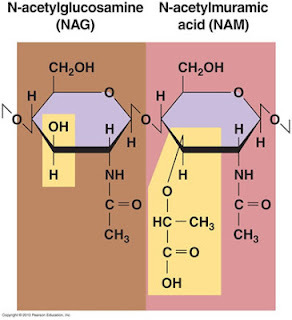 Basically, it is composed alternating unit of NAM(N-acteylmuramic acid) & NAG(N-acteylglucosamine). It also consists of peptide of four or five amino acids ( L-alanine, D-alanine , D-glutamate, and either lysine or Diaminopimelic acid(DAP). 2). Pili or Fimbriae : They are thin,soft, hair like appendages that extends from cytoplasmic membrane of Gram negative bacteria . They are shorter, straighter & numerous than flagella. They are composed of pilin protein, but don't function as motility. Fig: Prokaryotic cell structure showing Pili. fig: Schematic drawing of bacterial conjugation. 1- Donor cell produces pilus. 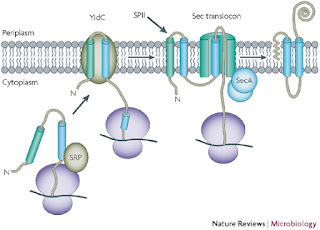 2- Pilus attaches to recipient cell, brings the two cells together. 3-The mobile plasmid is nicked and a single strand of DNA is then transferred to the recipient cell. 4- Both cells recircularize their plasmids, synthesize second strands, and reproduce pili; both cells are now viable donors. 1). Flagella : They are hair like appendages that protrudes from cell wall & are responsible for motility. 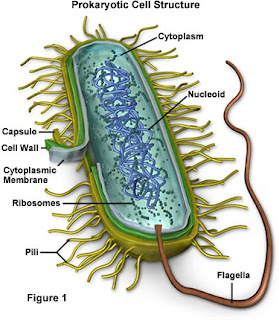 Each of flagella is composed of filament, hook,& basal body. Filaments is attached to hook like structure & composed of flagellin protein . 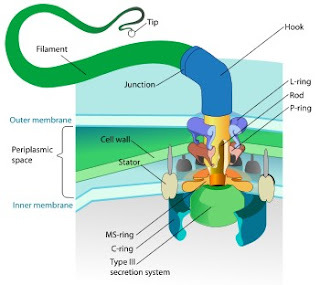 Hook lies at the base of flagella & filament connects to basal body. Basal body forms a central rod that consists of set of enclosing rings. Gram positive bacteria has only one ring embedded in cell membrane & one in cell wall while gram negative bacteria have a pair of rings embedded in cell membrane & another pair in cell wall. c). Spirals: They are spiral shaped bacteria. Some are curved rods that resembles comma. 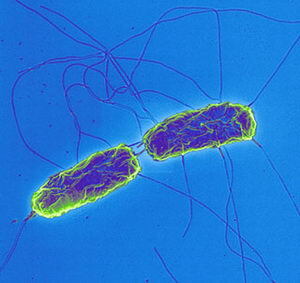 Eg: Vibrio cholerae . Spirilla: Helical shape with a thick, rigid cell wall & flagella that resist in movement. Eg: Spirillum spp . 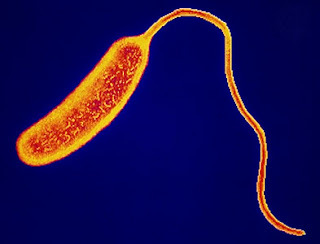 Spirochetes: Spiral shaped bacteria with a thin, flexible cell wall but as flagella. Eg: Treponema palladium. i). Palisades: cells are lined side by side like match sticks & at angles to one another. Eg. Cornyebacterium spp. Staining is the process of coloration of bacterial cell or microorganisms by the use of stains/dyes. 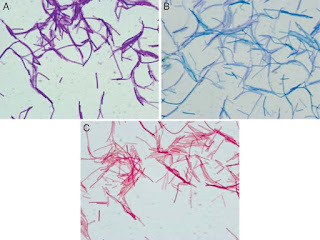 It is coloration of bacteria by using a single stain to a fixed smear. This staining is simple, easy, & basically employed to determine shape, size, arrangement of cells. The commonly used dyes are crystal violet, Methylene Blue, Carbol Fuschin. b). Visualization of structures; spore stain, flagella stain, & nuclear stain.